I look out the back and what do I see? This hungry hawk, stalking my fish pond! The fog is starting to lift, and he's still here. So I'm not feeding my fish til he's gone, or they will become dinner themselves! He best not be messin' with my fish! The mailman brought happy mail. Nothing beats surprise packages! 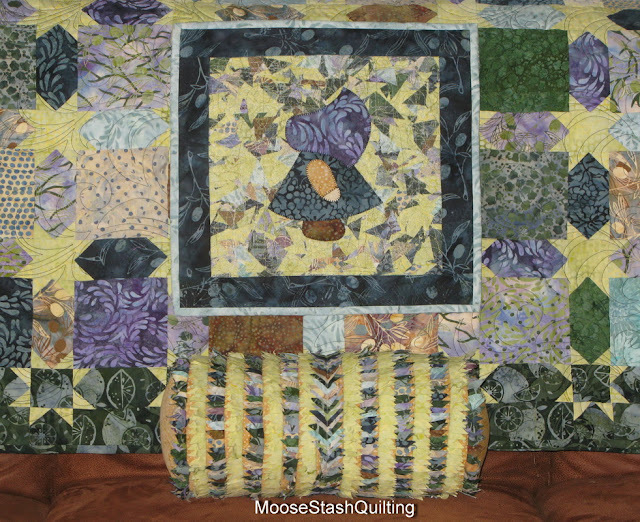 My friend Sharon from New York sent me this darling moose basket! I think the word has gotten out, that we are a little "moose nutty" around here. 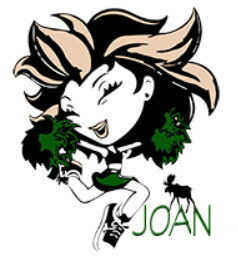 Thank you Sharon, your the best! 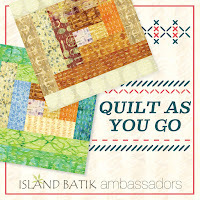 I did hear from my Island Batik blog hop winner yesterday. Kathy, your package is heading to the PO today! Thanks to all who visited and left such sweet comments. when I finished up the last of the wedding sewing. 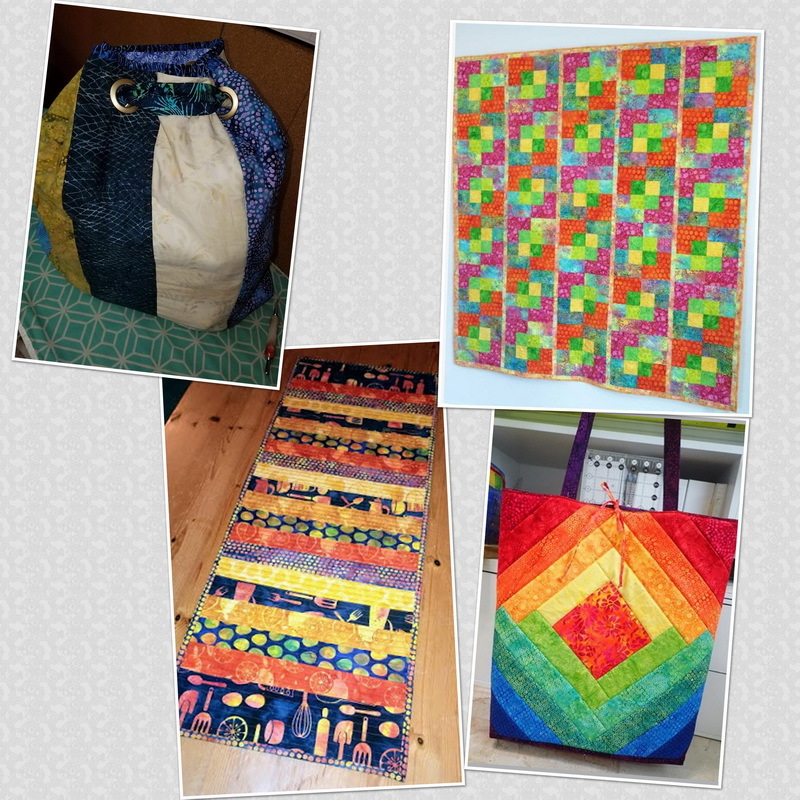 It makes my head spin to think of all the thread I've used. These jumbo cones have 12,000 yards on them. I came pretty darn close, to using up the entire thing. 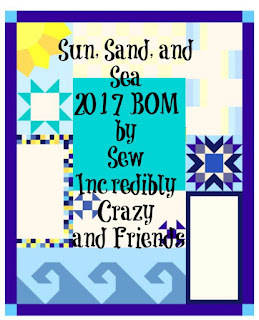 I know my sewing machine is thrilled to be done with this project. 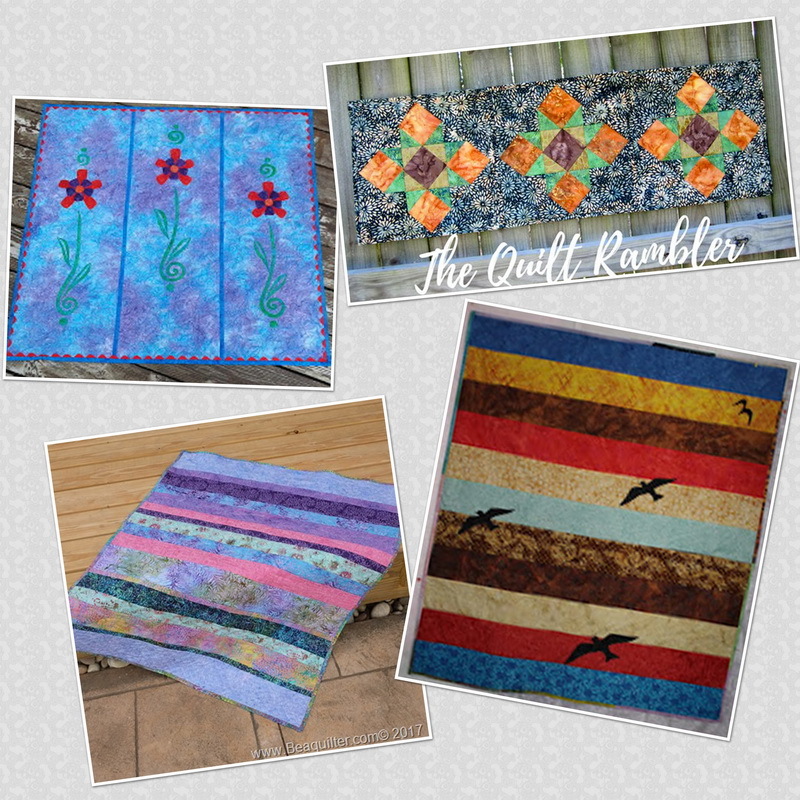 Another great blog hop goes down in the "books". 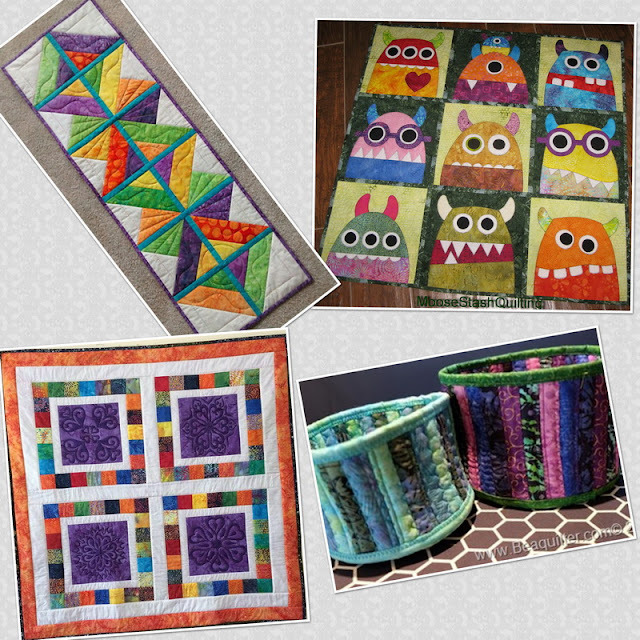 Rafflecopter, has chosen Kathy E. as the winner of these "Olivera" Fat Quarters. and will get these on their way. I do hope you all, have enjoyed this hop as much as I have. My fellow Island Batik ambassadors are "sew" darn creative. 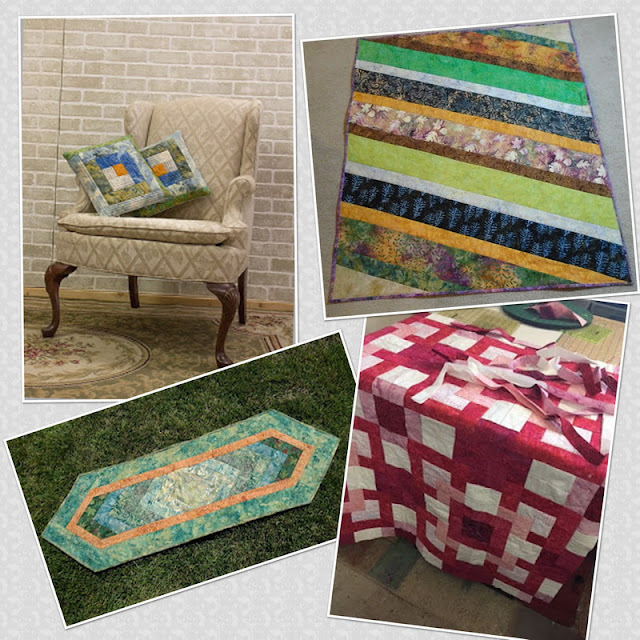 The new fabrics and projects we have seen are so inspiring! You know when you go back to school, there are always tests! and to all of you, who visit us here. Without you...there would be no us! 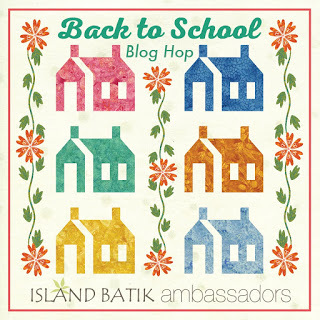 and the Island Batik ambassadors are cracking open the books! "Olivera" line of "Island Batik" fabrics really is! 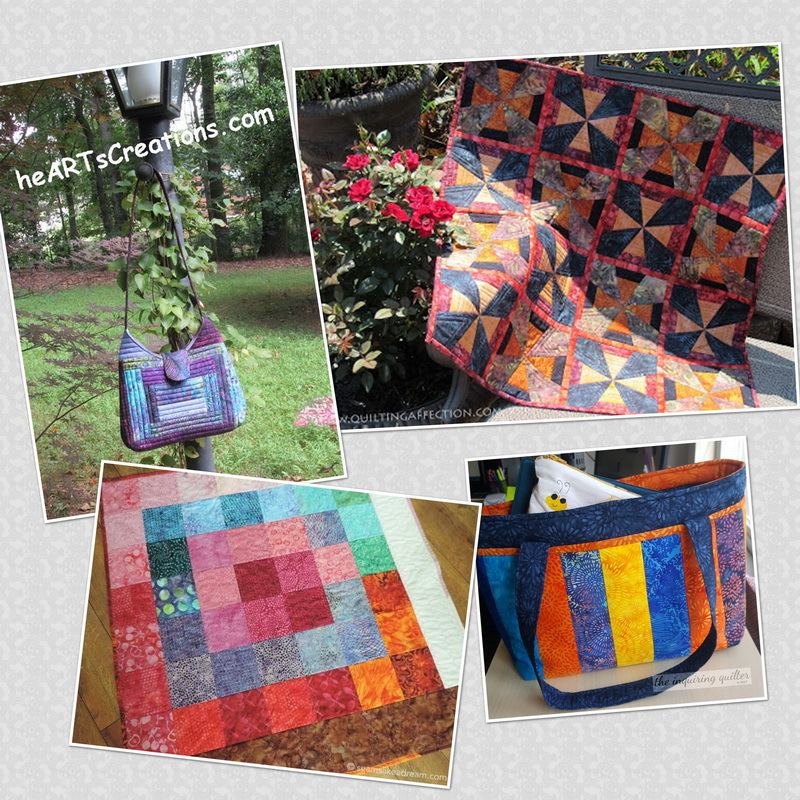 the perfect project, for these gorgeous fabrics was in here. I put myself "back to school"a few years ago. of course as we all know, we never "stop" learning. 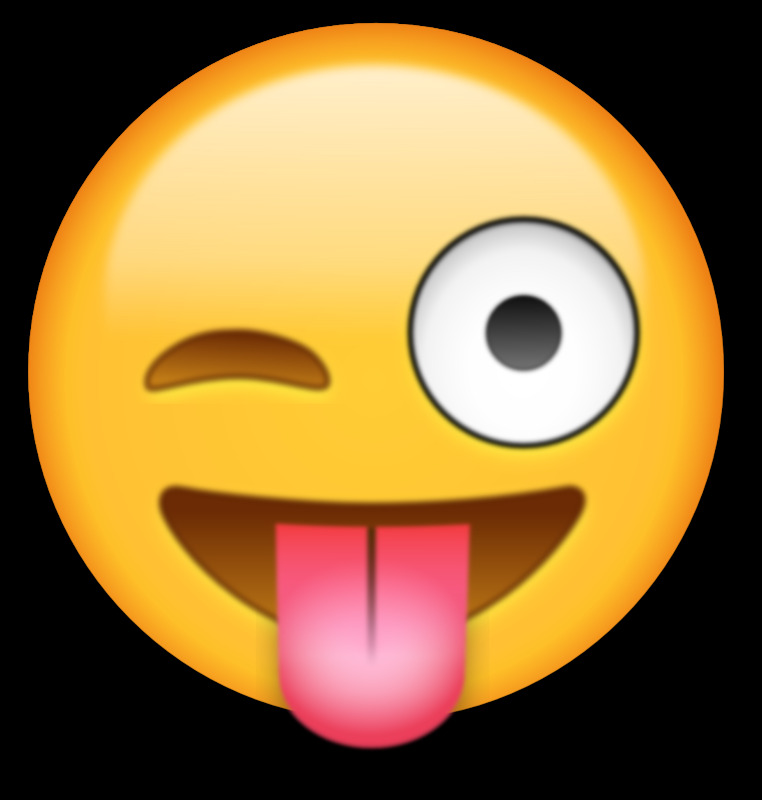 It's a time when we are "called" on our bad habits and taught new and fun techniques. 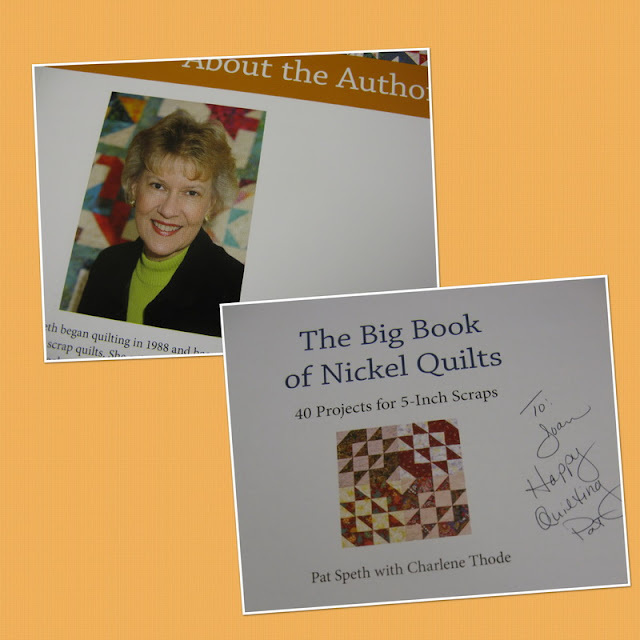 The class I took, was from the "Nickel Quilt" lady Pat Speth. WOW, does she know just how to teach and provide for a fun filled day. I can't wait to share my "Back to School" project. in this line, don't you think? When you make stars, you have lots of half square triangles you trim off. There was quite the pile, of these left over, but they are just too small to piece. 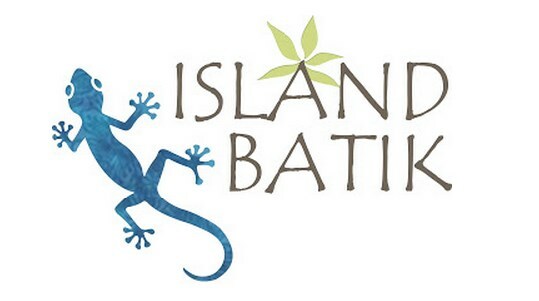 "no scrap of batik left behind" motto. The next challenge...what to do, what to do??? stitching down these little guys. I'm not the kind of quilter who sits down and plans a project on paper. No, that would be way to easy. I just start cutting fabrics and sewing willy nilly. There was a vision, but no "concrete" plan in my head. I know it's silly, but what better than this frilly little pillow! When it was all over, there were still triangles left. 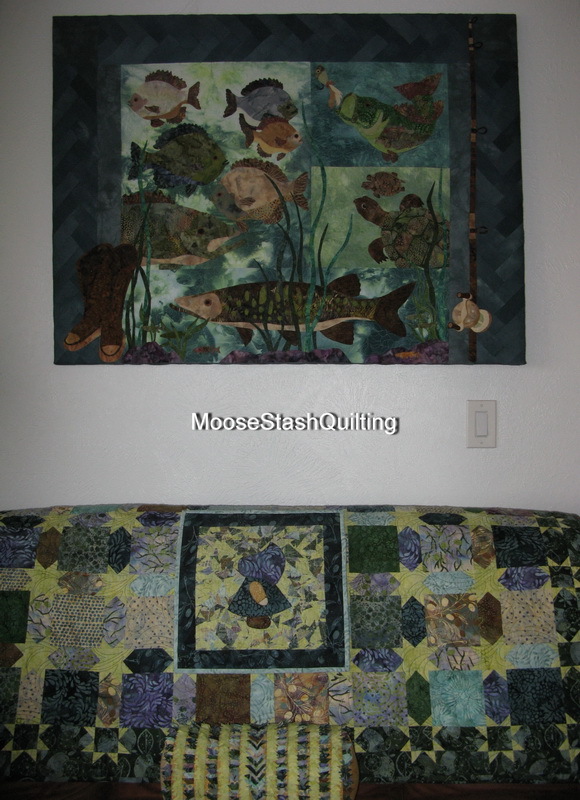 I went back to my old favorite, making scrap fabric. but it's just plum crazy, I know! 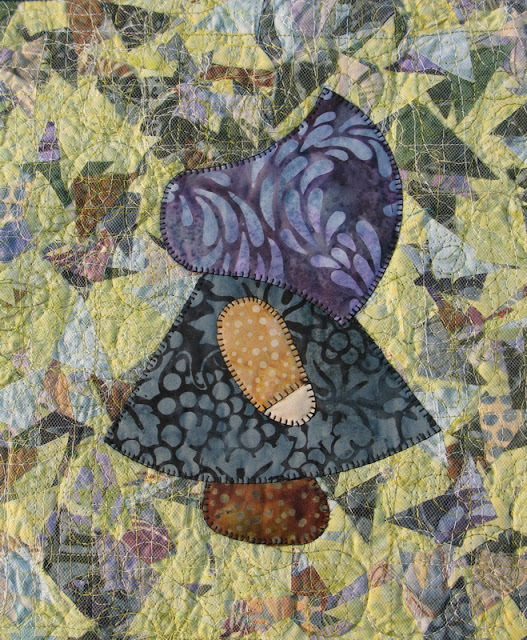 "Dog Ear Fabric" under my tutorials link on the right hand side of my blog. 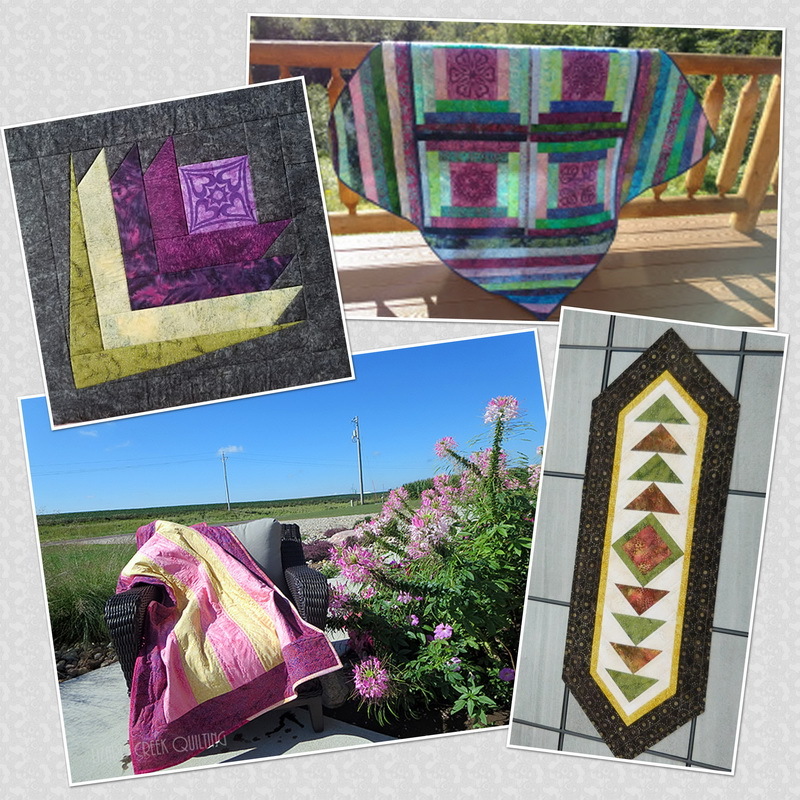 It's amazing what you can throw in, to make your own "unique" piece of fabric! I've got a little wall hanging to go along with everything. Even if I feel like being outside, it's perfect for my glider by the pond! I can sit and keep an eye on those fish of mine. I see there has been some hanky panky going on again this year. I've got more baby fish. A "School" I believe that is! 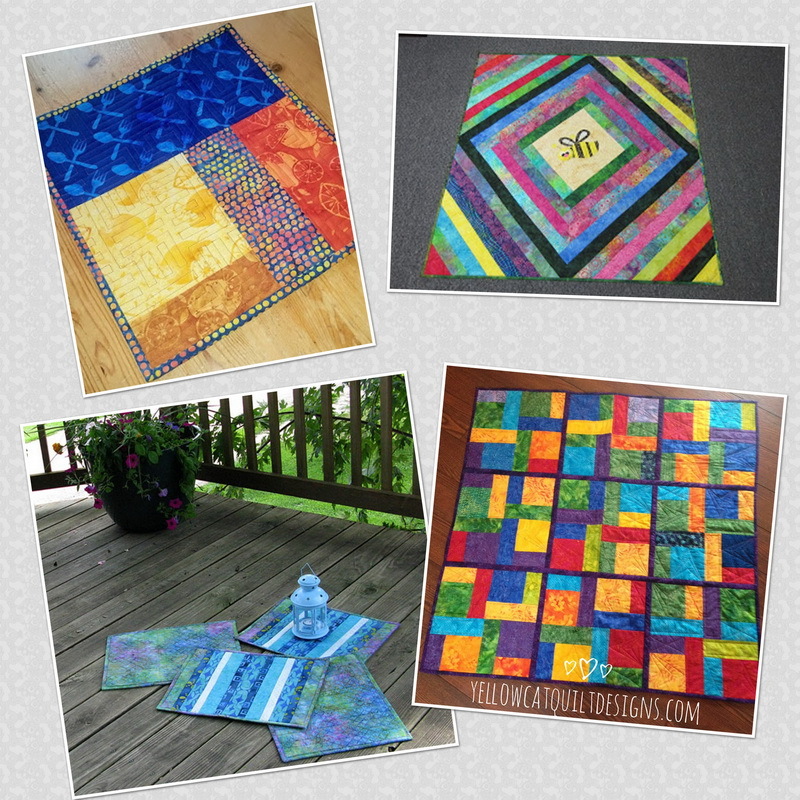 on just how to use those fabulous 5" squares. and short cuts. She's a stickler for a perfect 1/4" seam and teaches just how to achieve that, too! ...and if you ever get the opportunity to attend one of her classes, I highly recommend it! She'll get you on the road to busting thru your scraps. 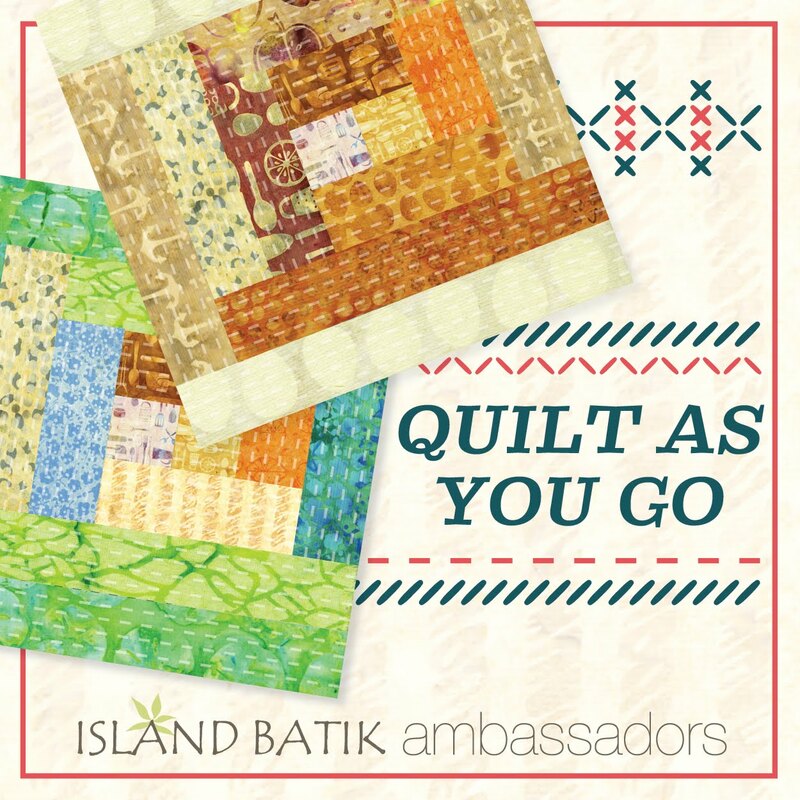 Island Batik is giving one lucky winner a fat quarter pack of "Anchors Away". The moose, here in the stash "seam" to think we should have a give away too. 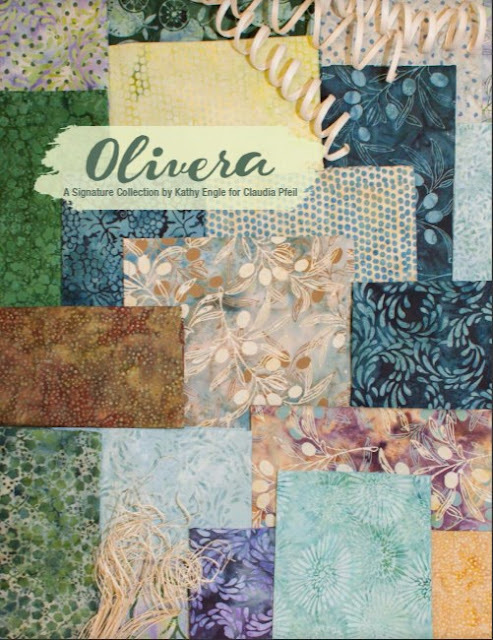 4 fat quarters of these beautiful "Olivera" fabrics. We will pick a winner here, on Friday Sept 29th. The last day of this hop! done with some of my hand dyes perfectly. It's been hanging up there for years! 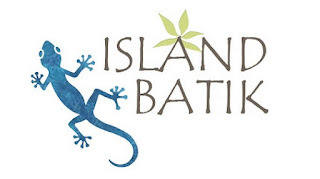 How did those folks at Island Batik know that?? Could there be spies among us????? All I can say, is spy away...cause I'm one happy girl!